Karbonn Multiplex is a Dual sim phone that features 3.5-inch HVGA touchscreen Display which sports 3 Megapixel rear Camera. It has 265MB of usable storage and come with 1GB card bundled which can be expanded upto 16GB. Other options of Karbonn Multiplex includes 3D Graphics Menu Widgets, FM Radio, Multiformat Video/Audio Player, Wi-Fi 802.11 b/g, Bluetooth, USB, GPRS/WAP, EDGE, E-Mail Support, Built-in data/fax Modem, G Sensor. The Multiplex has a standard 1100 mAH Li-ion Battery which delivers a talk time upto 6 Hrs and 240 hrs. standby. It has a dimension of 116*62.5*10.9 mm and weighs 111gms. 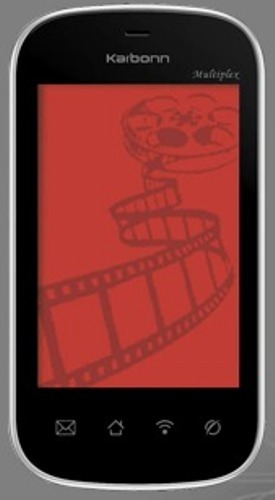 Tags:Karbonn Multiplex, Dual sim phones, 3D UI, 3D UI karbonn Mobiles.